Hello Kitty Beauty takes to the streets for Fall 2011 with the new, limited edition Hello Kitty Graffiti Collection. 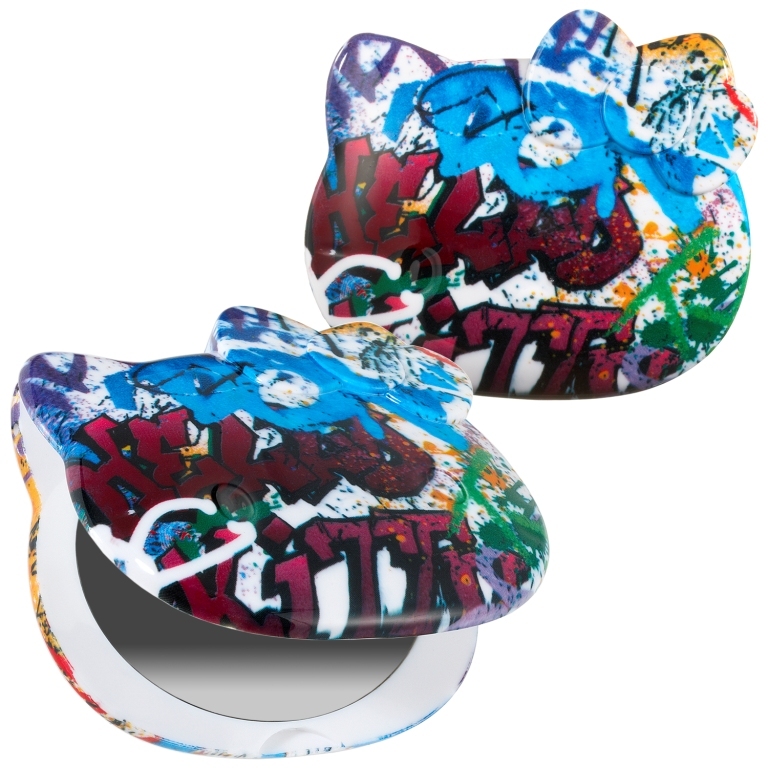 This colorful and edgy compilation pays tribute to the daring graffiti artists that decorate Hello Kitty’s urban landscape with hints of creative surprise and color. 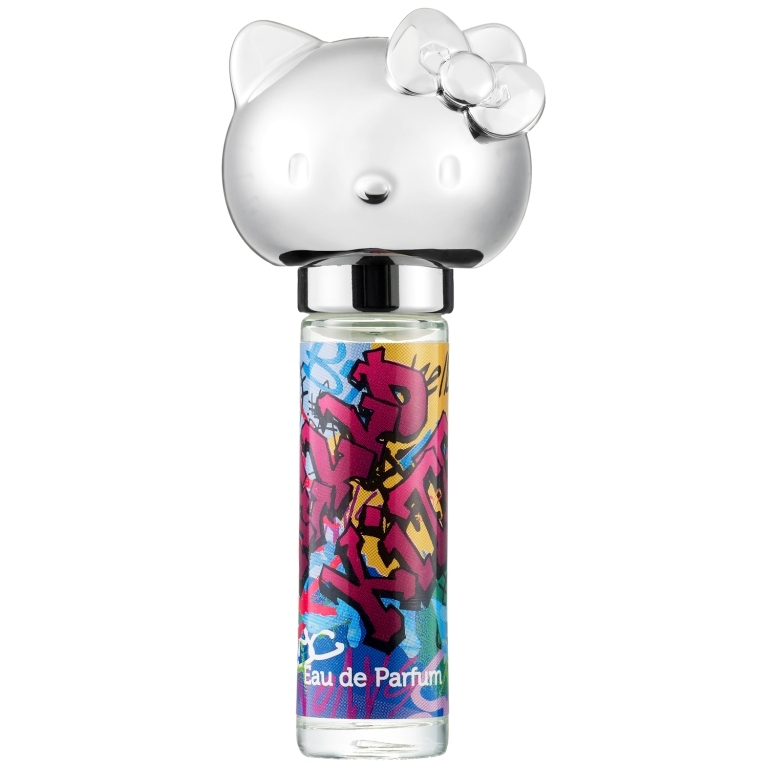 Presented exclusively at Sephora, Hello Kitty Beauty is decidedly grown up, artistic, stylish, and with a sophisticated flair, combining coveted designs with luxurious formulas and iconic accessories and tools. It’s the ultimate must-have beauty collection for Hello Kitty collectors and beauty enthusiasts alike. 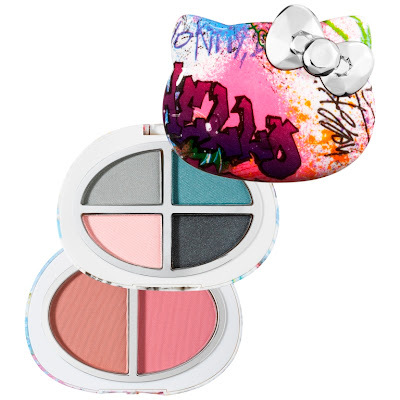 · Graffiti Palette ($35) - Hello Kitty Beauty’s signature, limited-edition tiered compact goes edgy with stylish graffiti décor and smoky shades. The top tier contains four eyeshadows in shimmery gray, charcoal, soft pink and grayish teal, while the bottom tier holds a dusty pink and bronzy peach blush/bronzer duo. · Graffiti Brush Set ($49) - Hello Kitty Beauty’s top-selling brush set has been “tagged” with the funky Graffiti Kitty print for a fun and charming new look. Inside the Hello Kitty-shaped holder are five synthetic brushes that provide a professional touch to any beauty look. · Graffiti Rollergirl ($18) – This enchanting and uplifting fragrance has a new look that’s as fresh as the iconic scent. 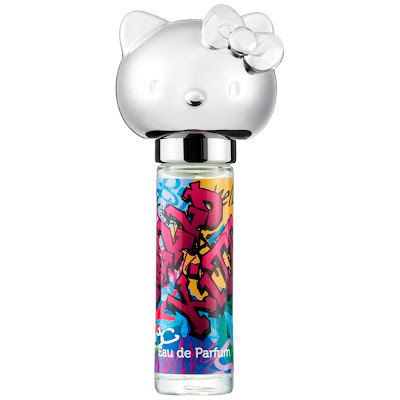 Containing fruit, flowers and spice, the fragrance captures Hello Kitty’s sweetness, fun and unexpected surprises. 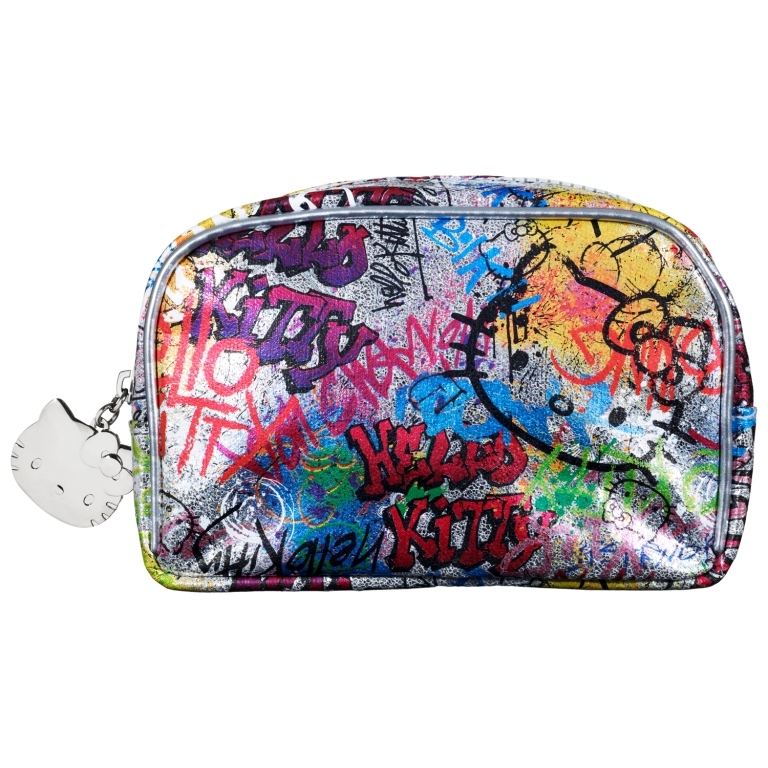 · Graffiti Kitty Cosmetic Bag ($28) - Featuring the same Graffiti Kitty print in a tarnished silver, faux-leather design, this medium-sized carry-all is roomy enough to hold all of your Hello Kitty makeup while adding a touch of downtown flair. · Graffiti Compact Mirror ($18) - Touch up in style with this cool compact mirror decorated in the edgy Graffiti Kitty print. The dual sided mirror design includes regular and 3X magnification. 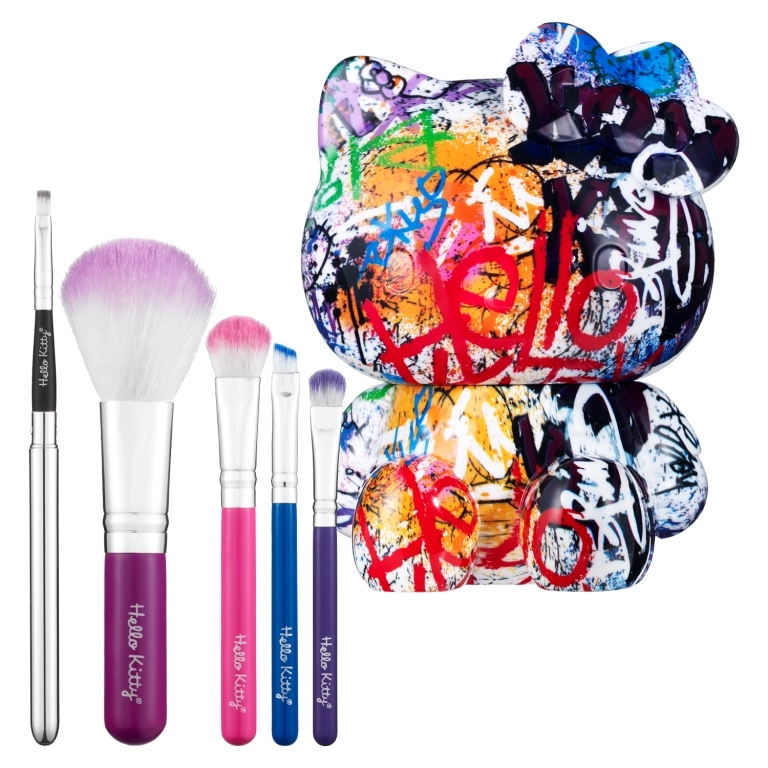 Exclusive to Sephora, Hello Kitty Beauty Graffiti Kitty Collection is available in all Sephora stores while supplies last. For more information call 1-877-SEPHORA or log on to sephora.com via computer or smartphone. This stuff looks adorable!!!! I love Hello Kitty!! !